Police arrested a man and three teenagers during a drugs operation at The Level. Sussex Police said on Thursday (August 16) a 15-year-old Hove boy and a 16-year-old girl from Crawley were arrested by police officers on suspicion of supplying cannabis and burglary with intent to steal; and a 16-year-old girl from Brighton was detained on suspicion of burglary with intent to steal. They were questioned and released under investigation, officers said. And the following day (August 17), a 23-year-old Brighton man was arrested on suspicion of possession with intent to supply cannabis. Police said the man ran from police officers through the children’s play area at The Level, before cannabis worth several hundreds of pounds was seized, along with cash and other drugs paraphernalia. He has also been released under investigation. For more crime stories, click here. Chief Inspector Rachel Swinney said: “Our prevention officers, who play a crucial role in helping tackle local issues, have been targeting suspected drug dealers at The Level using high visibility patrols, covert patrols and our passive drugs dog. We are also trying to identify drug users to direct them to agencies who can support them. 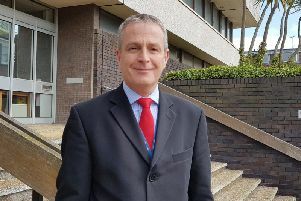 Sussex Police said a recent council tax rise will be used to ‘strengthen’ prevention teams who tackle issues like drugs. Members of the public can report suspicious behaviour or drug dealing online or ring 101.